Today, June 16, Migrant Forum in Asia (MFA) joins domestic workers and all who struggle with them in celebrating the International Domestic Workers Day. On this day in 2011, history was madeat the 100th Session of the International Labour Conference as the International Labour Organization adopted Convention 189 on Domestic Work, a turning point in the history of the world of work that will change the lives of the domestic workers. As we celebrate the 6th Anniversary of ILO Convention 189 and as governments embark on a new framework on global governance of migration which will impact the lives of 11.5 million migrant domestic workers, let us not lose sight of the reality that while there have been notable incremental reforms initiated by some countries including 24 ratifications, domestic workers are only provided few rights, with little freedom and yet stories of rights violations are too frequent. Let us continue the fight and support the collective voices of domestic workers worldwide who are working to achieve their rights and to making decent work their lived reality. “Helper”, “servant”, and “maid” are still widely used by many of us when talking or referring to domestic workers. These labels could be constraining for domestic workers who are stereotyped in simplistic and derogatory ways. People will continue to name-call and degrade them and their type of work until we change the frequency of using such labels and derogatory terms. They are human beings who also do work and the first step in recognising and respecting them is to refer to them as “workers”. Evidence based reports show that many domestic workers work more than 8 hours a day, with inadequate rest and days off, no decent living quarters, no adequate and decent meals, lack access to communication and information facilities, restricted mobility and at worst, are subjected to various forms of abuses-verbal, mental, physical, and sexual. As employers of domestic workers, transforming our homes to a decent workplace for domestic workers means treating them with dignity and respect, and providing them what is rightfully due of them. Limits on working hours and timely payment of wages should be observed. They should be given weekly 24-hour time off from work, provided with decent accommodation, give them an option for a live-out arrangement, and ensure their privacy and safety among others. Social protection is an integral part of the 2030 Agenda for Sustainable Development. An ILO study on Social Protection reveals that 60 million out of the 67 million domestic workers in the world (roughly 90 per cent) do not have access to social protection and 55 million of them are women. When they do exist, access to these become a challenge to domestic workers due to some barriers which could be either legislative and/or administrative; or it may also lack information about entitlements and how to access these benefits. Special schemes that respond to the nature of domestic work and needs and interest of women domestic workers should be explored. Extending social protection to domestic workers is one way to promote gender equality and address poverty. It is globally recognized that domestic workers contribute enormously to the development of our societies. When their voices are recognised and their mobility is not restricted, they are allowed to organise, and opportunities for growth are available, their productivity will be further enhanced, thereby, contributing more to the development of our society. 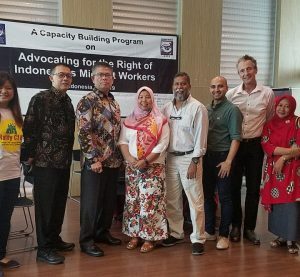 Governments need to support domestic workers associations and recognise their organising efforts and move towards formalizing the sector and ensure better protections. MFA pays tribute to the struggles and achievements of domestic workers associations and unions in the region and globally in asserting their rights and in taking authorities to task to ensure their labour rights and human rights are respected, upheld and protected. Many of the domestic workers remain excluded from protections in national labour laws, and restrictive immigration systems leave migrant domestic workers at heightened risk of abuse and exploitation. Governments must ratify C189 and immediately move towards its effective implementation by incorporating its provisions in domestic legislation. Governments must demonstrate a strong political commitment to end existing policies and practices that continue to perpetuate abuse and exploitation of all domestic workers. Employers’ tied-visa systems should be abolished. Governments must demonstrate their commitment to eradicating forced labour and contemporary forms of slavery in all its forms. Ratifying and implementing the ILO Protocol on Forced Labour would send a strong signal of their commitment to end forced labour for all workers. 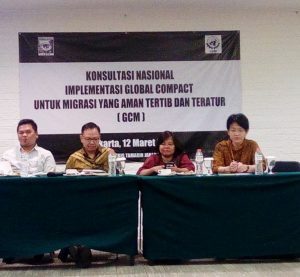 Governments must “Step It Up,” taking the long overdue step to demonstrate their commitment to guaranteeing the rights of all migrant workers. Migrant Forum in Asia celebrates the hope and the promise that the International Domestic Workers Day brings to domestic workers and all who struggle with them, toward decent and dignified work. Next Article » Will the 50th Anniversary of ASEAN be a Defining Moment for Migrant Workers in the Region?